“I am apart from the pain. My dying eyes behold my blood streaming from the wounds they have given me. I watch it soak into the earth. I retreat to the Second Road as I have been taught to do. I look down at what they do to my body, beyond their pain, and it occurs to me that it does not even matter that I am dying for a foreign prince. In the summer of 1940, in the wake of Dunkirk, Sir John “Gray” Graham, MI.6 Agent and occultist has been tasked with an important mission: to bring together the various practitioners of the mystic arts, in an effort thwart the German invasion. Not an easy task, given the 1973 Witchcraft Act, which was not repealed until 1951. But a task for which uniquely suited, should he manage it. Like Drake and (possibly) Nelson, before him, Gray seems fated to lead the various sects of British mysticism in a concerted effort against Hitler’s own black magicians. Drawn into this endeavor is the British Royal Family, in the form of Prince William, Duke of Clarence, a fifth prince and long-time friend, whose stars have been linked to Gray’s through the ages. As the Battle of Britain begins and the Wheel of Fortune turns, ancient cycles of blood and sacrifice may be what is required to save the Isle of Britain from invasion, once again. While I’ve always been interested in history, World War II… 20th Century history, in general has never been my thing. 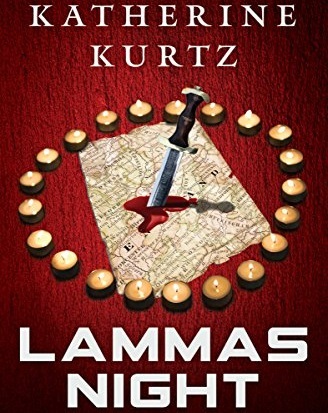 Lammas Night, by Katherine Kurtz, however, is one of those World War II stories that I’ve found myself coming back to time and time again. Possibly not for the war, itself, but for it’s window into the… interconnected-ness of all things. What is the line from Hamlet? “More things in heaven and earth than dreamed of in your philosophy…” I know that’s not the exact quote, but it’s close enough, for this. Like so many other books, this one was handed to me by my best friend ages ago. I first read it over twenty years ago, as part of a deep dive into Katherine Kurtz’s work. And every time I read it, I find myself wandering down various rabbit holes of “what if”. Do I believe in the Seven-Year Cycle and the idea of a sacrificial king? I’m not entirely sure. Again, more things in heaven and earth and all that. 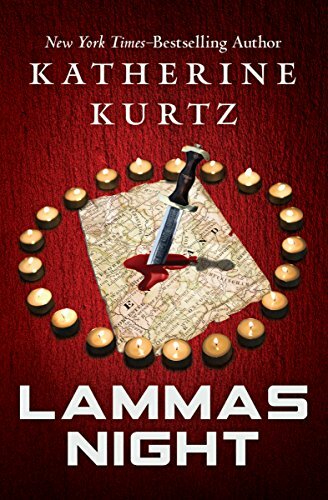 I will, however, point out that I had meant to write up a review of this novel, last year, as a companion piece to Tim’s reviews of Dunkirk and Darkest Hour, but held off, when I realized that Lammas Night was originally published in 1983, which would make 2018 it’s thirty-fifth anniversary. The fact that thirty-five is a multiple of seven may or may not have factored into my decision to write this up now. It could also be that the novel is only recently back in print. 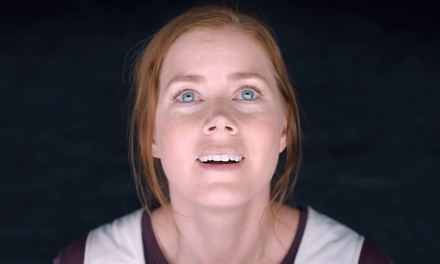 Full disclosure: I’d forgotten about the Seven-Year Cycle concept until I reread the novel. I love that this book always sends me into some sort of research mode. I usually find myself wandering down one rabbit hole or another, especially as I get closer to the end of the book. I recognize that this is partially an effort to delay the inevitable, as is my habit, when I know that characters I’ve grown to love are not going to end well. All of the characters in Lammas Night are completely fictional. Even down to Prince William, who is the fictional twin brother to Prince John, who died in 1919, at the age of fourteen (another multiple of seven. Hmm….). 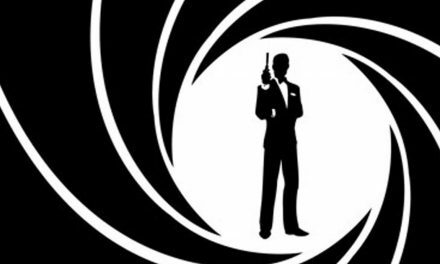 That the eventual death of our fictional prince is similar to that of Prince George, Duke of Kent, in August of 1942, is likely coincidental. Consider, however, that ’42 is also a multiple of seven. I love that the people surrounding Kurtz’s characters are left vague enough that one could try to puzzle out their identities, if one wanted to. That may be a topic of research for the next time I pick this book up. I also love the speculation this book sparks about historical figures and what roles they may or may not have filled in protecting Britain from invasion. Could the deaths of Thomas Beckett, William Wallace, William Rufus and others be linked, in some way that protects the Isle of Britain? It’s not a new concept, but rather a very ancient one. Was it more than bad weather that prevented the Spanish or Napoleon from invading Britain? Who knows? This book presents so many shinny objects to follow! Lammas Night is a book about sacrifice. Not just once, but over and over again, throughout the ages. That should already tell you that not everything turns out well. This is the third time I’ve read Lammas Night. And as much as I love it, I always find it hard to finish, because now I know what is coming. Which isn’t to say I didn’t know the first two times. But I have a hard time watching characters I like meet their inevitable fate. There’s also the question Gray brings up, of whether or not the ends were necessary. Did Germany just decide not to invade, after bombing the hell out of Britain? Who really knows? To be clear, none of this takes away from how much I love this book. If you like World War II stories and want a different take on things that may or may not have happened, during the war, then yes, I recommend this book. The events surrounding the story, itself, from Dunkirk, to September of 1940 are largely accurate. The actual events of the novel are conjecture, based on information available, at the time it was written, in the ’80s. As of 1983, there were accounts of at least one coven that did workings, that summer. Whether those efforts helped thwart invasion, depends on what the reader believes. Because this story deals with concepts like the astral plane, cycles of fate and past-life regression, this is a very cerebral book. So if you’re looking for something action heavy and with a lot of conflict (outside of the actual war the book is set in), it may not be for you. But if you want some interesting things to chew on, I highly recommend it.